Today what inspired me in my share was a background that I made while I was playing around with my embossing folders and letterpressing. 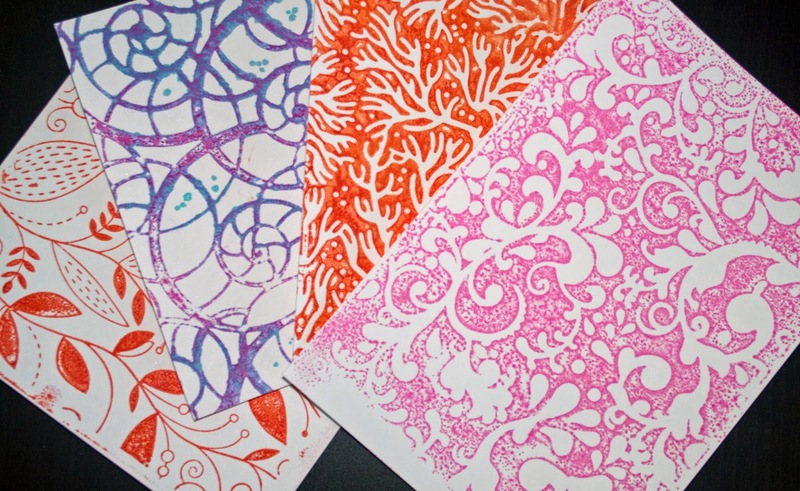 I recently taught a class on the Dreamweaver Stencils at Sparkle N Sprinkle and one of the techniques was Letterpressing. 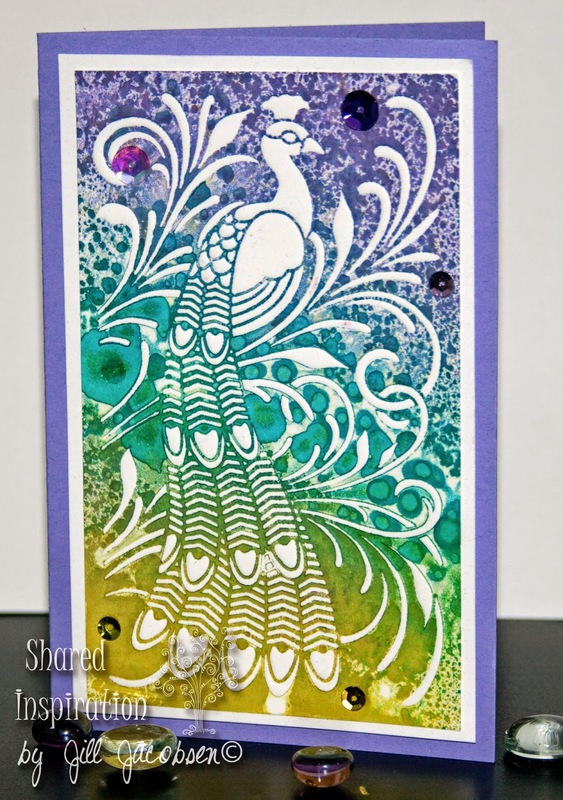 We really enjoyed playing around with this technique and then I then saw on Splitcoast Stampers the idea of using the embossing folders. I was also inspired by the Mojo Monday Challenge #346 again. 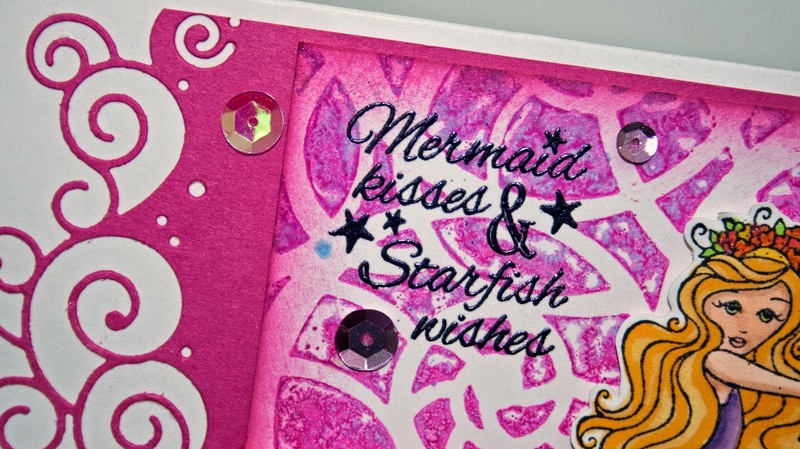 I had the letterpress of the Nautilus (Spellbinders Sea Beauty Embossing Folder) on my desk and I had not used my die from Memory Box, Splash border, so I used both of those, and then it was fitting that the stamp be the Mermaid Kisses from SNS. 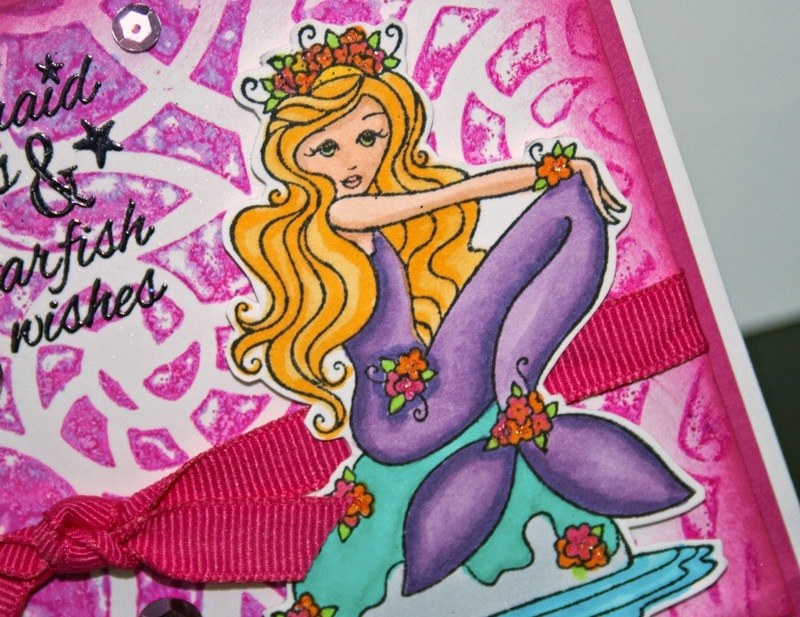 She was stamped with Tuxedo Black Memento and colored with Copics and cut out, she is adhered with dimensional tape. The sentiment is embossed with Plum Wine EP from SNS. 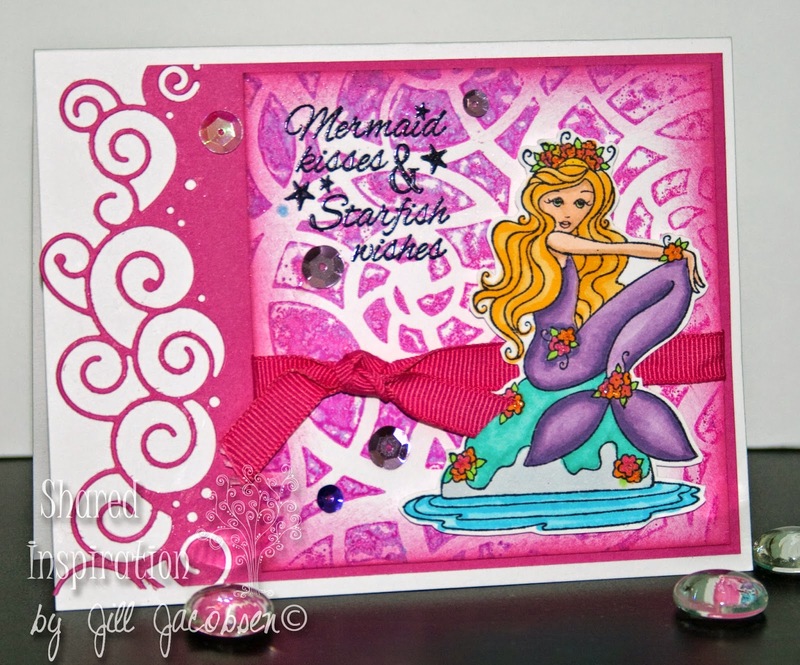 For the inside I just used some scraps and stamped the other image and colored. 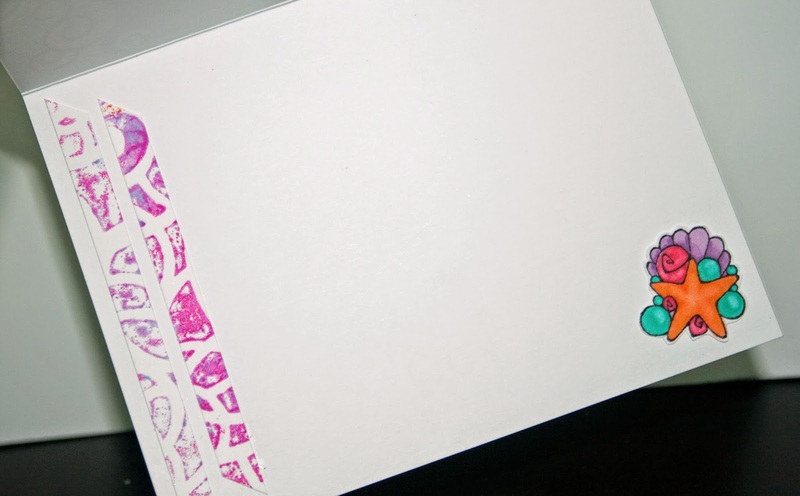 Here is a peek at the other papers I made while playing with the embossing folders and letterpressing.